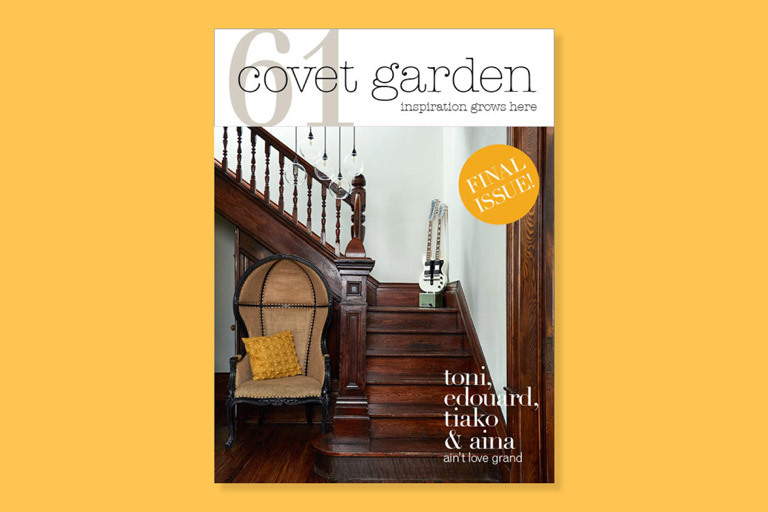 In the latest and final issue of Covet Garden, the digital magazine celebrates 5 years and 61 issues with the fantastic home of Toni, Eduoaurd, Yiako and Aina. This house is filled with joy, music and inspiration. Donna Griffith’s photos capture the amazing artifacts and incredible creative energy of this family home. We thank Covet Garden for their commitment to giving us a peek into homes that were unstaged and decorated by their inhabitants and allowing us to share these home tours with our 2life readers and app users. Follow Covet Garden on Instagram, Pinterest and Facebook to see what the very talented women behind Covet Garden will do next and explore their back issues for more inspiration.